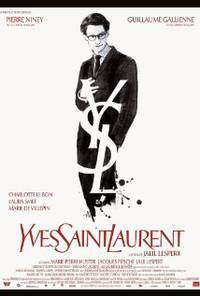 Yves Saint Laurent is a 2014 French biographical drama film directed by Jalil Lespert and co-written with Jacques Fieschi, Jrmie Guez and Marie-Pierre Huster. The film is based on the life of Yves Saint Laurent from 1958. The film stars Pierre Niney, Guillaume Gallienne, Charlotte Le Bon, Laura Smet, Marie de Villepin, Xavier Lafitte and Nikolai Kinski. The film opened the Panorama Special section of the 64th Berlin International Film Festival at the renovated Zoo Palast, with director, cast and Pierre Berg in attendance. The film received seven nominations at the 40th Csar Awards, winning Best Actor for Pierre Niney. This webpage uses material from the Wikipedia article "Yves_Saint_Laurent_%28film%29" and is licensed under the GNU Free Documentation License. Reality TV World is not responsible for any errors or omissions the Wikipedia article may contain.